This paper describes the physical simulation of Al0.3Ga0.7N/GaN-based double barrier resonant tunnelling diode (RTD) with cubic-GaN structure using Silvaco ATLAS. Cubic-GaN is interesting for vertical transport devices due to the absence of internal polarization. Proper selection of material parameters is vital in order to optimize the device performance. The relationship between current-voltage (I-V) characteristic, particularly the negative differential resistance (NDR) with respect to variation in barrier composition, well width and barrier thickness are studied in detail. RTDs with clear NDR are demonstrated with peak-to-valley-current ratio (PVCR) of 7.19 and peak current density of 3.77 mA/cm2 at room temperature. The optimum barrier thickness for a given composition is determined by using the ratio of current magnitude at resonant peak to the width of the resonance, and also used as figure of merit for the device. Finally, optimum parameters for the promising cubic Al0.3Ga0.7N/GaN RTD are proposed. 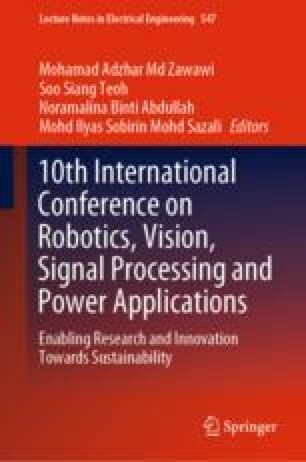 The authors are thankful to Universiti Sains Malaysia for the financial assistance through Short Term Grant 304/PELECT/60313047.